For today’s deals roundup, we have put together a bunch of microwave deals on Amazon. If you’re looking for a new microwave for your home then we’ve got your back. 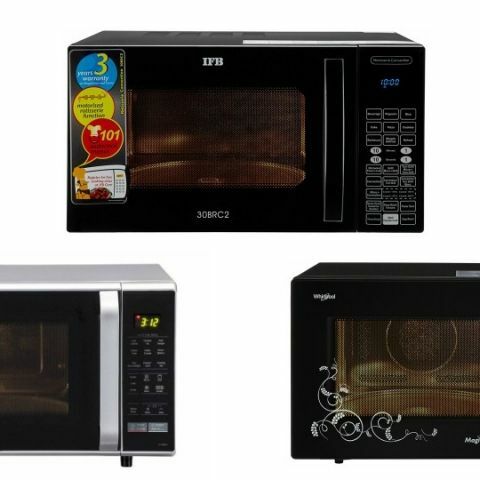 We have handpicked the best microwaves that are available on Amazon with a pretty good discount. The products in the list down below are from brands like LG, Whirlpool, IFB and more. The LG 28L Convection Microwave Oven comes with 365 auto cook preset menu, which allows you to select the dish you want to cook easily. The oven comes with a quartz heater that prevents the risk of any hand injury. The auto cook menu also includes Health Plus menu that is specially designed for health and calorie conscious people. Click here to buy. The Bosch 23L Convection Microwave Oven features 121 auto cook menus. The microwave comes with a safety door that automatically stops the operation even when the door is slightly open. The Bosch microwave oven goes through rigorous testing, which means buyer does not need to worry about the product safety. Click here to buy. The Whirlpool 30L Convection Microwave Oven comes with 200 auto cook menus, which gives you a wide range of Indian dishes option. The Whirlpool multi-stage cooking function allows you to cook at different power settings and different stages of the cooking cycle. Click here to buy. The Godrej 30L Convection Microwave Oven comes with five power levels that let you cook your food at different power levels. It also has a preset cooking option that lets you schedule the cooking for a later time, which means you can have a hot coffee in the morning ready the time you wake up. It comes with a child lock as well that prevents your kids from using the microwave when you are not around. Click here to buy.